We envision a New England abundant with diverse family farms and fertile soils, with locally and honestly produced foods and flavors at the heart of every table. Originally inspired over a decade ago by a Brown University student project, we were founded in 2004, incorporated in 2006, and received 501(c)3 nonprofit status in 2007. Today our mission is much as it was from the start — to grow a local food system that values the environment, health, and quality of life of the farmers and eaters in our region. Our Community Access programs increase the availability and affordability of locally sourced foods for all New Englanders, and share knowledge of how these fresh ingredients fit into a healthy lifestyle. These programs include Farmers Markets, Nutrition Education, Bonus Bucks, and Harvest Kitchen's culinary job training program. Our Food System Enterprise services create transparent systems and market-based opportunities for farmers and producers, as well as increase farm viability and financial sustainability for our organization. These programs include Market Mobile, Veggie Box, and Harvest Kitchen’s food production and processing. In 2014, we adopted the New England Food Vision, a collaborative report from Food Solutions New England, as one of the guiding visions for our organization. 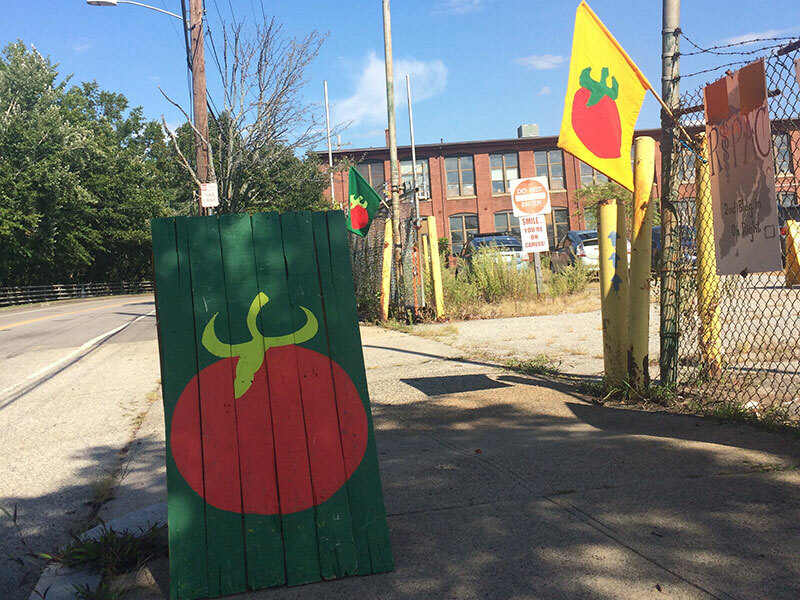 The regional plan has a bold goal of building capacity for New England to produce 50 percent of its own food by 2060. Right now, 90 percent of the food we consume comes from outside of the region. We work toward this “50 by 60” goal in many ways.